Good news for parents of premature babies! NSW has just opened its first ever human donor breast milk bank in a groundbreaking move designed to help vulnerable newborns fight off life-threatening infections and disease. Premature babies born in NSW will now have access to nutrient-rich, pasteurised breast milk donated by lactating women in a purpose-built centre run by the Australian Red Cross Blood Service and NSW Health. Minister for Health, Brad Hazard, announced the exciting news this week, which comes several months after South Australia launched the nation’s first ever Milk Bank in Adelaide. “Around 1000 babies are born every year in NSW at less than 32 weeks gestational age, or of a very low birth weight and many need specialised care,” said Mr Hazzard. And yet, unfortunately, in a lot of situations breastfeeding isn’t always possible, which is where the new Milk Bank can help. “Many mums of premmie babies can experience problems with their milk supply, but now mums can access donor milk, while efforts to boost their own supply continue,” continued Mr Hazzard. The decision to make donated breast milk available supports the World Health Organisation recommendation that pasteurised donor human milk be the first alternative to baby formula when the mother’s own breast milk is either not available or insufficient. But until now it’s not been easily accessible in NSW. Located in Alexandria in Sydney, according to Australian Red Cross Blood Service spokesperson, Jenni Mack, the new Milk Bank will operate under world’s best practice standards. “Just like a blood bank, the Milk Bank will screen donors, collect, process and test the donated breast milk, then track and distribute this precious resource,” she said. 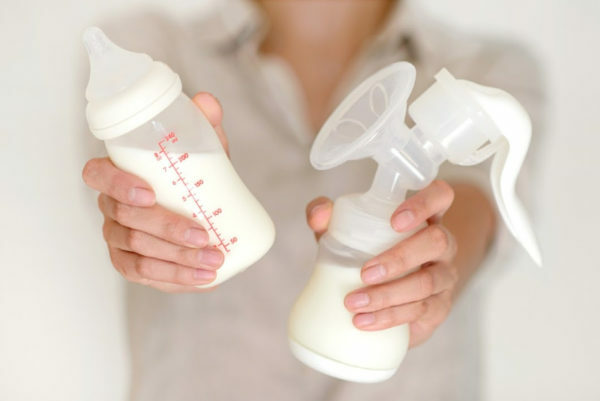 While infant formula is, of course, a very acceptable and beneficial option for babies who aren’t breastfed, for newborns with a very low birth weight and those born before 32 weeks, research shows that breast milk does reduce the risk of potentially life-threatening gut disorder necrotizing enterocolitis and bacterial infections. So if more premature babies could access breast milk (particularly in those very early days), via donated milk if the mother’s milk is unavailable, then they would have a much higher chance of thriving. Let’s hope they open more milk banks across the country soon! If you live in Sydney or Adelaide and are interested in becoming a milk donor, please head to milkbank.com.au for more information.